Will Ducted Air conditioning fit in your Brisbane Home? What is the roof pitch angle? The roof pitch is the steepness of the roof.The higher the pitch (angle) the steeper the roof. A high pitched roof will have more available space than a low pitched roof. A wider roof will have more roof space than a narrow roof. A tiled roof has a minimum pitch of 20 degrees (for proper sealing ).So if you have a tiled roof the pitch will be 20 degrees or more. 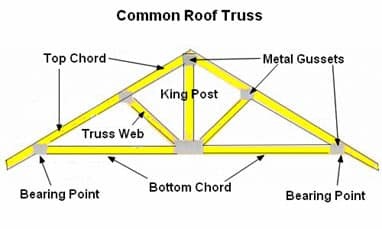 What type of roof truss do you have? The roof truss is part of the frame to which the roof is fixed. Houses in Brisbane typically have a tiled roof or a sheet metal corrugated roof (in latter days known as colourbond). You can see the roof trusses if you open the manhole and look up to the roof. Roof trusses have different designs depending on the age of the house. The old Brisbane Queenslander houses do not have roof trusses and there is usually plenty of space for ducted air conditioning equipment. The indoor unit of the ducted air conditioning system is suspended between the truss webs as shown in the photo below. You can see in the diagram below that the king posts prevent the indoor unit of the ducted air conditioning system from being suspended. This type of truss can be modified. It requires engineering design and a builder to do the work. Cost is in the order of $1,000. 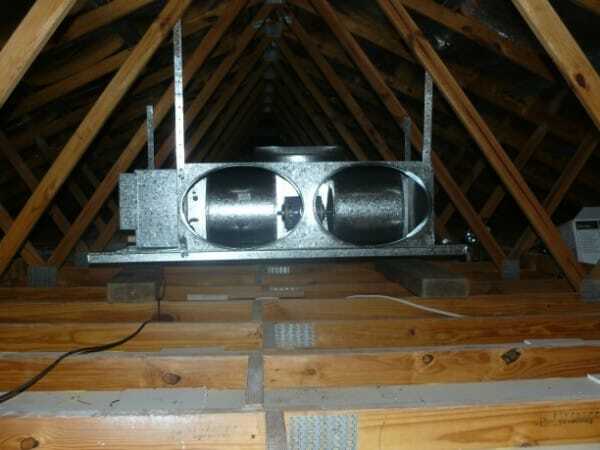 After you have checked the roof pitch and the type of trusses and found them to be suitable then you install ducted air conditioning in your home or contact the team at Crown Power in Brisbane for a residential ducted air conditioning expert to make a site visit and prepare a free design proposal for you.